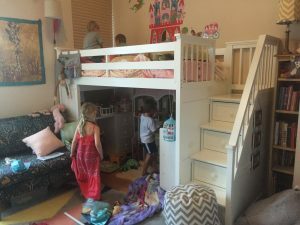 First time hosting a play date? Never fear – it’s easier than you think. Here are a few tips to help your play day go off without a hitch. 2. Put your pets away. Since we’re on the topic of allergies, some parents and even adults have allergies to animals that you may not be aware of. In addition, while your child loves your dog, the other child might have limited experiences with animals, and your dog’s excitement could terrify your guest. 4. Prepare your child for the play date. If there are any special toys that your child then not want to share, have your child to put those toys away before the play day begins. Having that conversation ahead of time will help with some of the stress of sharing those coveted toys. 5. Do not turn on the TV. The kids are there to play. Let them do that. 6. Turn on the music. To that point, sometimes too much silence is off-putting. Put some light music on in the background. Let your home be inviting. 8. Be clear about the parking or stoller situation. As we live in a very dense area, sometimes it is difficult to figure out what to do with your car or your stroller. Let your guest know where you typically park, or where you leave your stroller. If you have a parking spot in your garage, maybe you can move your car into the street before she gets there so she can park in your spot. 9. Do not hover over the kids. Spend some time getting to know your guest. Compare bedtime routines and dinner menus. Laugh a little. Friends are everything. 10. Connect. The best part of a play date is spending time with other adults. Learn more about the ways other people run their households. Try to be open and honest with other moms about what works for you and what doesn’t. Be willing to hear advice and offer yours. Mel Kozakiewicz blogs at www.urdoingitright.com. JCFamilies: Tell me about your business. Jen: Bucket & Bay has been open a year and a half now. In the very beginning, it started out as my project. Boris: But it’s hard to do something like this and not have the other person involved to some degree. You just share an idea and then that idea goes somewhere. Jen: So ultimately Boris became a full-time, hands-on participant. Boris: But I was always involved. Jen: He’s always been our website and branding guy. JCFamilies: What are some of the challenges? Jen: …since before we opened… and i has been “coming soon” for a while! Boris: And other things too – like we have a program where we provide our neighbors with 100% grass fed milk, fresh from the farm. We have wanted to expand that for a long time, but it wasn’t a priority. It was summer and summer is ice cream season. 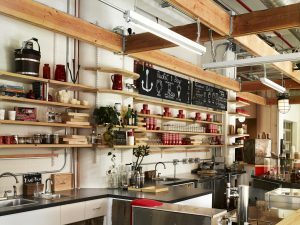 Jen: My focus has always been in the kitchen and operational things that customers don’t always see but take a lot time, like organizing the team schedule. Boris: We don’t have time to discuss everything. JCFamilies: And you have kids too, right? Jen: Yes, and that really adds a lot to the time pressures. We have two girls. They’re five and six, kindergarten and first grade. Mornings are whirlwinds of trying to get out of the house on time. Boris: Morning are crazy, but very often both of us are there. Jen: Which is extremely helpful. Boris: We do a lot extracurricular activities, which is a luxury, because it takes time. There are not a lot of jobs that allow you to leave work and take your kids to ice-skating. Jen: Or to a performance at the school. The last one started at 5:00. There are a lot of families where both parents cannot attend a performance at that hour. Boris: While there are advantages to being a part of the corporate world, it’s organized and predictable, being a business owner gives us flexibility. JCFamilies: I love the way it looks in here. It’s warm and inviting. Boris: Thank you! 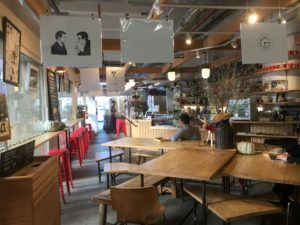 We wanted our place to be warm and inviting like a coffee shop, not like a typical ice cream store. Jen: Most ice cream shops are typical scoop shops – they feel cold – not a place where you want to hang out. 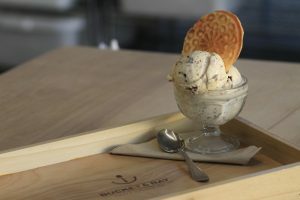 And we feel that ice cream is very social in nature, we want people to relax and enjoy it. Boris: So it feels like a coffee shop, but our core focus is still gelato! And we do our gelato with passion and completely from scratch. Jen’s interest in ice cream started as a kid. 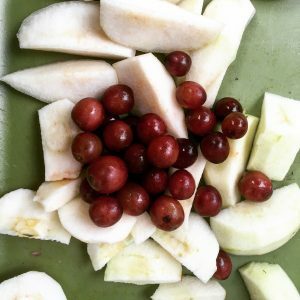 JCFamilies: What makes your ice cream special? Boris: We start with the milk. We use the most amazing milk in the world – it’s grass fed milk – 100% grass fed. When cows eat exclusively grass, they produce less milk but it’s richer. That’s why it’s a bit more expensive too. But you can totally feel the difference in the way our gelato tastes. 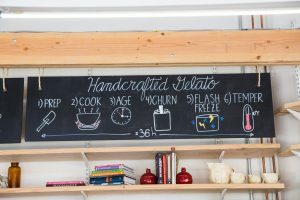 Jen: And our gelato is not typically Italian, it is more modern American, made from scratch, with inspiration from all around the world. Our flavors are creative but also very elegant, they open up gradually as you eat them, often revealing multiple layers. JCFamilies: Do you get time as a couple? Do you go on dates? Jen: We do. But not very often. JCFamilies: How do you decompress? Boris: I teach sailing at the Manhattan Sailing Club, but we did find time to go out together on a boat in 2016. JCFamilies: Do you watch Netflix? Boris: We don’t binge watch the series. We watch movies. Jen: Yeah. We recently watched that one movie – remember? Jen: I used to want to watch every single movie that was up for an award. Boris: Yes… We used to host an Oscar’s party! Boris: It does get a bit intense. Marrying someone and being in a business with someone is totally different. Jen: Communication is key. Only we don’t have the same communication style. While we always have the same end goal in mind, the details and the strategy – which direction we’re coming from – is always very different. It helps to take a step back, and look at the whole picture. It’s something we don’t do nearly enough. Jen: Boris doesn’t like lists. I love lists. Boris: (Finds it!) Tea was part of the plan. And look! It materialized! 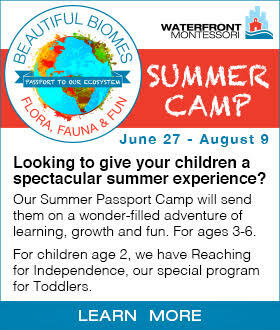 JCFamilies: How do the kids fit in? Boris: The kids have priority. That’s where our movie time went. From homework to extracurricular activities, all these things take time. Growing up with your parents having an ice cream shop – the kids are fully aware of it. Jen: Sometimes they don’t like the ice cream shop. Boris: Last year was challenging. We spent even more time at the cafe. Partly because we couldn’t afford to have as much help and we were not as organized – so we’d take turns. The kids knew when it was either mommy night or daddy night. Jen: The kids requested more family nights. So we have that now. JCFamilies: Do you have advice for other couples in business together? Jen: I’d definitely say: Communicate! You’ve got to have thick skin. You’ve got to let things go. Get over the small stuff. Boris: And establish priorities. The fact that we have agreed that our kids are the top priority, helps us move smoothly through the day. Whatever happens, the kids have to get the attention they deserve. I’ve known Christine Goodman since before either of us had kids. It’s been amazing to grow into motherhood with her. Her words are always inspiring. JCFamilies: Tell us who you are, professionally. 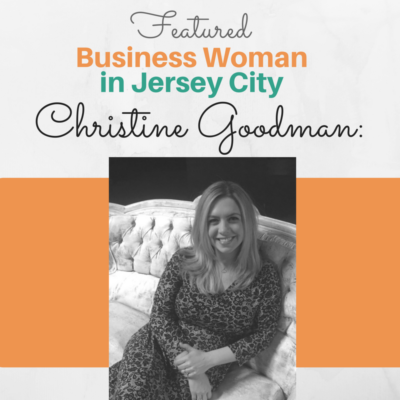 Christine Goodman: I am the founder and executive director of the visual and performing arts center Art House Productions. Now in its 16th year, we present plays, art exhibitions, and a quarterly citywide arts festival – JC Fridays. JCF: How did JC Fridays start? CG: JC Fridays came about after the closing of 111 First Street, an artist enclave in Jersey City. When that building closed, a lot of our arts community felt really beaten down. 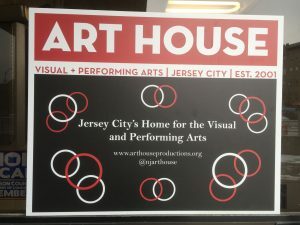 Art House had a meeting with arts organizers, arts friendly businesses, and other community leaders, to see how we could move the arts forward in Jersey City. The idea of JC Fridays came out of that meeting. Even to this day, it continues the spirit of the community coming together to support one another around the arts. There was a real need for that. I think that’s why it’s such a successful program. 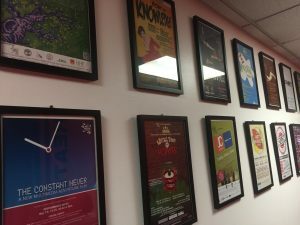 JCF: How important are the arts to a community? CG: The arts are an extremely valuable component of any healthy city, particularly in times where people feel like they don’t have a voice. The arts gives people a platform, a meeting place, a community. A vibrant arts scene makes people feel invested in the city and in the communities in which they live. JCF: What’s a typical workday like for you? CG: It starts at 6 am – but through no decision of my own. JCF: Because of the kids? CG: Yes. 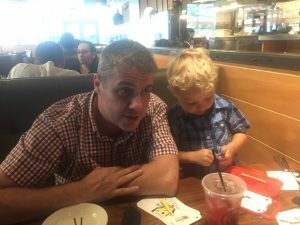 Should we talk about a work day, or about my family? CG: So I have my predawn experience with my one year old. That’s how we roll into the rest of the morning. I have two kids. The day starts with them waking up pretty early. My husband and I get them to school, and then I’m at Art House. It’s a 24/7 job. As a founder, an organization like this is a third child. This is my teenager. JCF: Why did you call it a teenager – what makes it a teenager? CG: First because it’s 16 years old. But also because it has really has matured. It can stand on its own. It has its own identity. It’s wonderful to see that through all the growing pains, we have created an institution that means a lot to many people. JCF: How do you balance your business and your family? CG: That’s the million-dollar question. It’s evolving. It’s a balancing act. As professional mothers, we continually walk the line of making sure that we’re there for our kids, that they have what they need, and also that we’re taking care of what the businesses needs, which can mean that you are on call at the strangest hours. There’s no easy answer or a magic pill for running a business and being a mother of two. 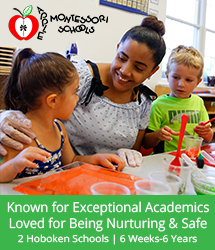 We have these standards of excellence as professionals and mothers that we can handle everything. The short answer is that it’s really tough. I think the short answer is in continually making sure that your children know that you’re there for them and empowering other people around your business as well. JCF: How do you do that? CG: For me, it means making sure that my kids feel comfortable at my business. I don’t run a 9-5. They’re comfortable at Art House. They’re comfortable in the theatre. They have space here that’s their own. They’re welcomed when they walk in the door. At the times when there needs to be a lot of juggling, they can be in the space of my business and feel like they belong. The other thing is being realistic about my timelines, about what is humanly possible for me to accomplish. I think that the Christine before kids would work all night if she needed to. Christine after kids needs to make sure that the timelines and support systems are in place. Which has been a wonderful change for me. JCF: Do you ever work at night? CG: Taking a meeting at 7 pm is tough. It means that there are other people who have to sacrifice in order for that to happen. Even for me to be at the shows that I produce – I’m continually figuring out how to navigate. The natural result is that I’ve had to not hold on so tightly to the idea that I need to do it all myself at Art House. And it’s been great. There’s a beautiful leadership team here that’s really wonderful and rocking it out. It takes a village on both ends. JCF: What was it like going from one to two babies? CG: Having my first child and the incorporation of motherhood into business ownership was overwhelming at first, and then manageable. We found our rhythm and knew that it wouldn’t last forever, but it was working. But when the second baby came along, the juggling wasn’t going to work. It wasn’t possible. At that point, I needed to make sure that we had a theatre manager and a technical director who could be on site in the evenings and make sure that the shows went smoothly in my absence. JCF: If you had to do it all again, what would change? CG: Nothing. Through owning my own business, I was able to bring my kids to work with me for the first 10 months of their lives. I could pursue my love of the arts and keep the business going. It was a wonderful opportunity and for that I am extremely grateful. In an ideal world, I don’t even know how I would change it, because my kids are growing up in the theatre and I think that’s a unique experience for them too. JCF: What is the best advice that you ever got? CG: It wasn’t any specific thing. Having the influence of other mothers around me that were making it work, and knowing that it didn’t always have to be perfect, was amazing. 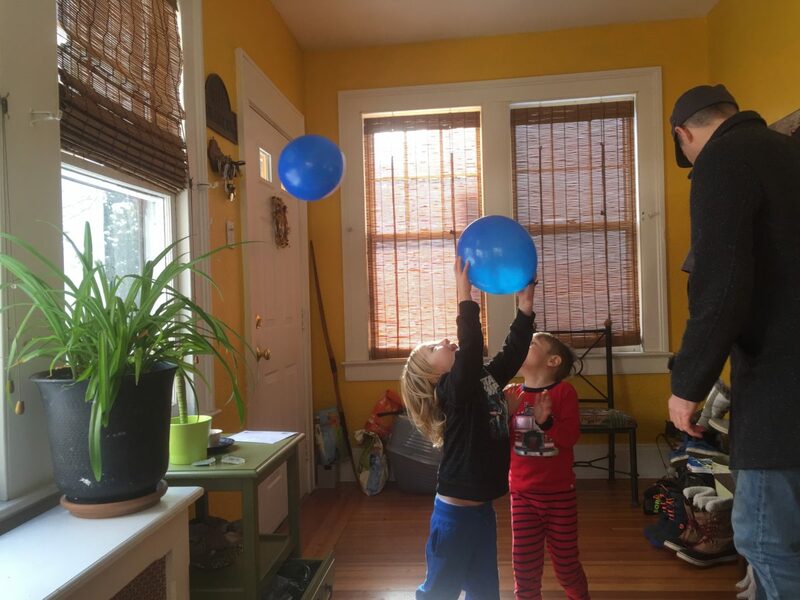 Being able to see that we all mess up, and we’re all feeling our way through this – and that it’s possible to raise children who are kind, aware, intelligent human beings while still not always getting it right felt like such a relief. It shifted the focus from being supermom to being a human being and the best mom I could be. That gave me more confidence. It’s nice to know that we all drop the ball, and we all feel like we’re constantly playing catch up, and we forget the diapers, and we try to figure out a last minute dinner, and we forget the paperwork for the school, but at the end of the day, our kids are good people. And that says to me that I’m on the right track. 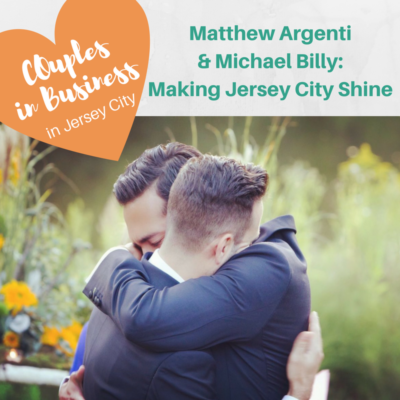 I met Matthew Argenti and Michael Billy in the afternoon at the fabulous Vogue Coffee Shop in Jersey City, NJ. If you’ve seen Billy’s name in the news recently, it’s because he organized the Rally to Stand with Immigrants and Muslims, as well as the Rally to Stand with Victims of the Orlando Nightclub shooting. He’s an activist and a filmmaker, currently working on a feature about meeting his birth family in Columbia. Matthew: We met in Teaneck, NJ at an Irish Pub. It was a fraternity thing – I was part of a fraternity – and I was there with friends. This striking gentleman was singing Boyz II Men’s End of the Road (doing karaoke) and the whole bar was singing along. That was my first impression. Michael: We were different people back then. 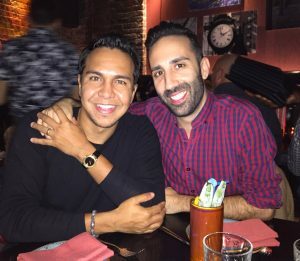 I’ve been sober from alcohol for 9 years – and we’ve been together 11. Michael: – and we’ve changed together. Matthew: That’s why it works. When people ask us ‘How have you stayed in a relationship for so long?’ I always mention how we grow together. Like when he became sober, I was at a point where I was also ready to stay away from bars, too. Michael: No – I mean like, the person you were in college was a different person. I would not date that guy today, who you were in college. That’s what I mean. Our core values were different then. And it was ok then. But now they’ve changed. And we changed together. Right? Matthew: (nods) We’ve been together for eleven years but married for one. And now we’re ready to have a child. Michael: Because we have a dog, and that worked out. (laughs) And we’re home a lot… This past year, I found my birth parents [in Colombia]. I found my birth mother and found out my birth father had been murdered by Escobar’s people. It was a huge bomb dropped into my personal life. And then Matt brought up the idea that we should adopt from Colombia. Matthew: We have family there that we could trust in the process. There are so many kids that need a home. Michael was adopted from Colombia – we would want to do the same for someone else. JCFamilies: Do you have an idea of what kind of parenting philosophy you would have? Or what would be important to you as parents? Like what did you appreciate about your own childhood that you would want to replicate? Matthew: (clears throat) We had different experiences of growing up. My mom owned a travel agency, so I was able to travel a lot. I was able to experience different cultures and adapt. That’s would be very important for me. And maybe a city lifestyle. 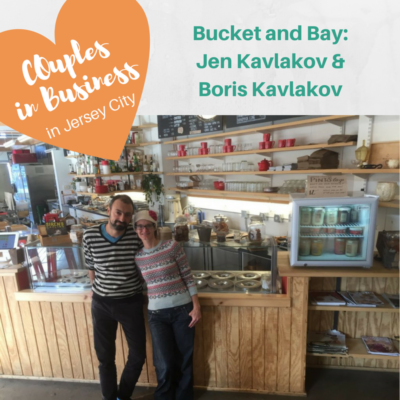 Jersey City is such a melting pot – it would be a great way to expose our kids to all the things we value. Michael: In a larger context, I think it’s become very clear that we need to reform education on all levels. 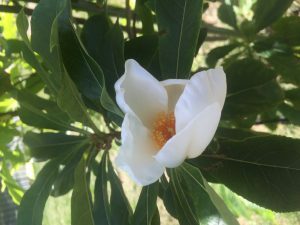 I believe being a parent allows us to educate our children on quiet, on stillness…On all things – from gender, to meditation, to different ethnicities. We have an opportunity to correct some of the wrongs that have been taught. Regarding the school situation – who knows? I was partly homeschooled. I know there were benefits, but for me there were also missed opportunities. Matthew: – and I grew up in a Catholic school. As far as high schools go, my school was actually very accepting and open to different kinds of kids. Matthew: I think that’s one of the things I love about our own relationship – the communication. Even when we’re having a bad day, we always make each other laugh. We connect with humor. 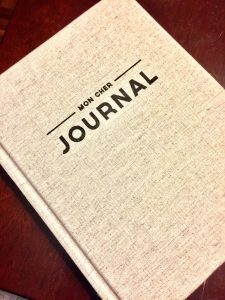 Michael: We keep a little journal to surprise each other with. Michael: Take a moment for someone. It’s your fricken husband for godsakes! Matthew: It’s a “remember when” in a sense. 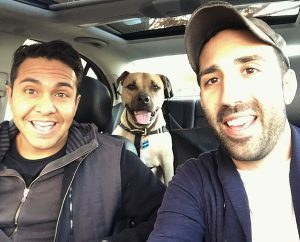 JCFamilies: Can we talk about raising queer children? What are some of things to keep in mind? Michael: Start with an understanding that gender expression and fluidity are all about love. It’s not about putting the child in a box or a label. Experimenting and questioning is part of evolving. Matthew: There’s a part of the world that you can’t provide for your child. But providing love and acceptance in the home will school the child for their whole life. Be open, loving, accepting. It’s stability. Michael: I’ve been attacked myself, and that one event kicked off my entire life. My parents could not control that. But they did provide me a home. There’s an assumption that adversity is bad. But the pain that trans and LGBT kids are feeling only makes the community stronger. It helps to create a voice that is undeniable for years to come. Don’t judge adversity as bad. Give up control and prepare your child for the array of things that may happen in their lives. Matthew: There was a guy I bonded with in high school – he was straight – and he got made fun of for being gay too. So it doesn’t matter. Energetically, we’re all the same. Michael: We are every one of us. Matthew: Whether it’s a queer family, or straight family, or whatever – we’re all one and we’re all part of the community. It doesn’t matter what ethnicity we are, we’re all part of this community. And we’re awesome. 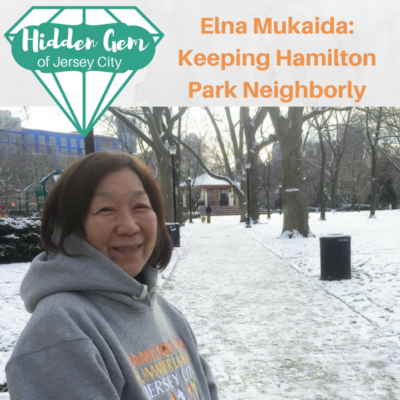 I met Elna Mukaida in her building in Hamilton Park on a snowy morning right after the New Year. She brought me a steaming chai tea and we chatted about her involvement in the community, the neighborhood association, and of course, the park. 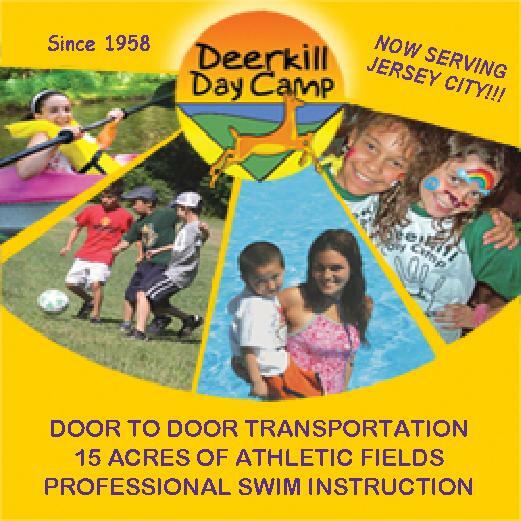 JCFamilies: How long have you been in Jersey City? Elna Mukaida: I bought a condo here in 1985. That was in the day when you wouldn’t go out after dark. It’s been amazing. You should see the changes. JCF: But you don’t feel that way anymore, right? EM: Oh no. I think it’s important to know your neighbors. If I’m chatting with someone, and someone else walks by, I’ll always try to introduce that person so people start talking to each other. Little by little, this building has become very friendly. JCF: Have you been involved in the Hamilton Park Neighborhood Association (HPNA) that whole time? EM: I started going to community meetings in the early 2000s. I think. I’m trying to count the years, but instead I think I have to go by the number of presidents. JCF: Were you in a leadership role at that time? EM: Usually when I join a board, I just keep my mouth shut for the first year or two, see what the interactions are. JCF: But since then you’ve had lots of jobs on the HPNA. EM: I had been secretary for a couple years. I was also president for 2 ½ years. JCF: What’s on the radar now? EM: The HPNA is paying a lot of attention to what the planning board is working on. The current plan is for the Roberto Clemente block. The redevelopment would allow for 20-30 story buildings there. We don’t want that. EM: You lose a lot community when that happens. JCF: What’s your role now with the HPNA? EM: I’m assistant manager for the Farmer’s Market. One of the things I really believe in is sharing information. A lot of new people come to our table, with questions about the neighborhood. JCF: What do people want to know? EM: We always have the 126 bus schedule at the table, for example. I also tell people the Jersey City Police Department’s phone number. It’s 201-547-5477. And I tell them to put a “1” in front of it so it’s the first thing that comes up if you really need it. JCF: I love the Farmer’s Market at Hamilton Park. EM: Thanks. We’re really proud of our Farmer’s Market. Our vendors are really nice. All of them are very social and people in our neighborhood love to chat. People have made it a tradition to have their dinner there. They’ll sit on the steps of the gazebo and have their pizza and just enjoy the park. JCF: What do you like about the HPNA? EM: Many things make HPNA special. The neighborhood association sponsors many events – the Hamilton Park Festival is one of my favorites. We have music, we have entertainment. We’ve got flea market type vendors – one comes from as far as Saddle River. It’s a lot of fun. 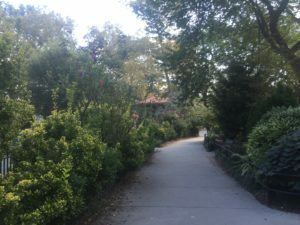 JCF: I remember what the park used to be like – and what it is now. Did the HPNA make that possible? EM: The renovation of the park was in 2008. The board put on a survey for 2 or 3 weekends for the public to express what they wanted to see in the park. They had possible landscaping designs – bench styles, lamp fixture styles, and they created a booklet for the city. 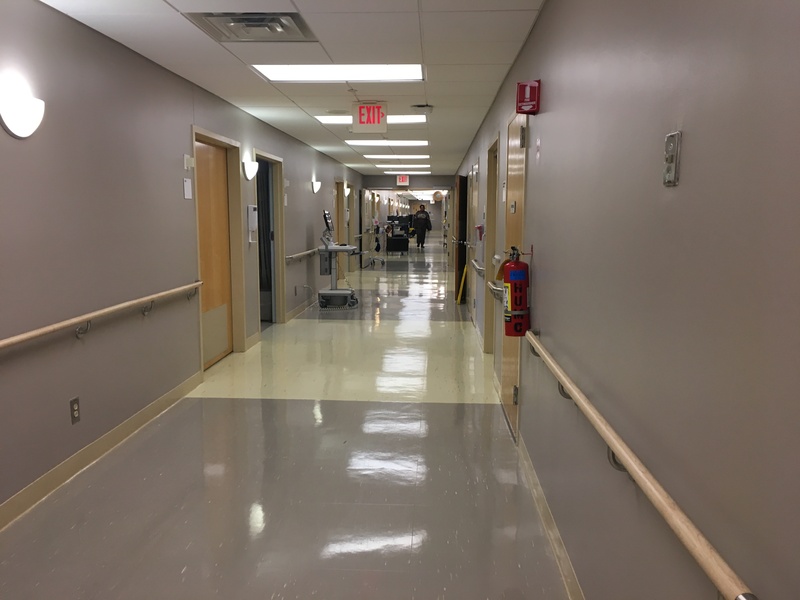 They had funds from Green Acres (county funding) so the HPNA was tapped to participate in the renovation. JCF: They did a great job. EM: It’s really become a very popular place. The day they reopened, there must have been 1000 people there. JCF: I feel like that’s not an exaggeration. Even now it sometimes feels like there’s a thousand people in the park! EM: Oh yes. Kids love it, they see their classmates there. 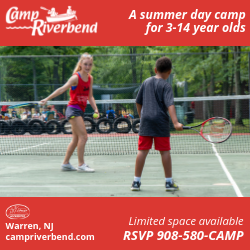 We now have about 10 schools in our neighborhood – they and other schools, like schools from Harsimus Cove, come to play in the park. JCF: And there are family events too that bring in big crowds. EM: We have the Great Egg Hunt that we do in collaboration with JCFamilies. And we have the Farmer’s Market that starts in May. We have Shakespeare in the Park. That’s in June, July, and August. Maybe 3 or 4 years ago we started Movies in the Park too which has been very popular. And the Halloween Parade! Kids get dressed up and just mob the park. It’s wonderful. JCF: How’s the gazebo? We heard about the truck that smashed into it. EM: Oh no. That guy had a breakdown. He’s drove from Maine. He thought the end of the world was coming. He said God made him do it. Apparently he had marital problems. He just decided not to stop. JCF: Oh gosh. That’s terrible. Was there damage? EM: Outside looked pretty good, but inside there’s going to have to be some repairs. There’s a big crack – it’s structural. We can still use it, but it will have to be fixed. JCF: How is the HPNA funded? EM: Several ways. Partly donations. 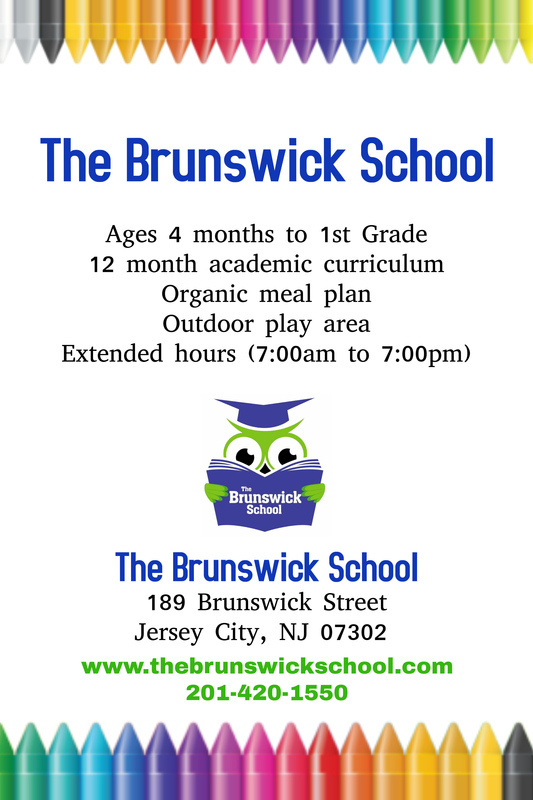 We charge a nominal $10 for membership per household. When people chip in a little bit, they feel more committed. And our Park Fest used to be a major fundraising effort for us, but the primary source now is our Farmer’s Market. JCF: What do you love about it? EM: Getting to meet people in the community. I love sharing information, to help people make use of the services that the city offers. Basic networking. I enjoy it. It’s fun to see the kids come by, and families have a good time. JCF: Well I can tell you that your guidance has been invaluable to many people – including JCFamilies. EM: You know, the city has a process to get permits for having events in public places. When Mamta started doing events with JCFamilies, I helped walk her through the processes, and go get the signatures. At that time, there were about 14 signatures you needed, and in sequence. You had to go from Cultural Affairs and then the Health Department and then over to Streets. You had to zig zag all over the city. JCF: Sounds like a long day. EM: It’s simpler now. It’s nice because I get to meet a lot of the behind the scenes people. I like that. While I’m getting a permit signed, I start yacking with the people at Animal Control, for example. And they’re all very nice people. I’m sure that people have yelled and screamed at them in the past, but they’re public servants. They’re very important. Coming up with a birth plan isn’t easy. One of the primary considerations is where. In the metropolitan area, we are lucky to be surrounded by lots of options that transcend the home versus hospital debate. 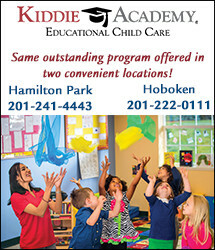 Here in Hudson County, we are fortunate to have dozens of options in terms of medical facilities. Just ask Siri. And it’s not an easy choice, right? No one knows how long their labor will be, so they don’t want to drive too too far, but how far is that? Also, it’s a pretty momentous occasion, so it’s supposed to be special, so if there’s a prettier, or more luxurious option, it’d be nice to know that too. And also there’s the question of your ability to speak for yourself as opposed to being funneled through someone else’s plan, or worse, on their timeline. You want to be in charge as much as possible. But how on earth are we supposed to wade through that information? Long story short: It’s beautiful. In the past three years, they’ve spent bundles of energy updating and beautifying the maternity ward. Their goal? To create an environment that is more hotel than hospital. Because you’re not sick, you’re in labor. And it shows. The room does look like a hotel. There’s a concierge type finish overall. The bed is made up with regular (plush) blankets. Every piece of furniture is configurable. For example, the couch pulls out length-wise to fit more guests, and it also squares itself into a bed. 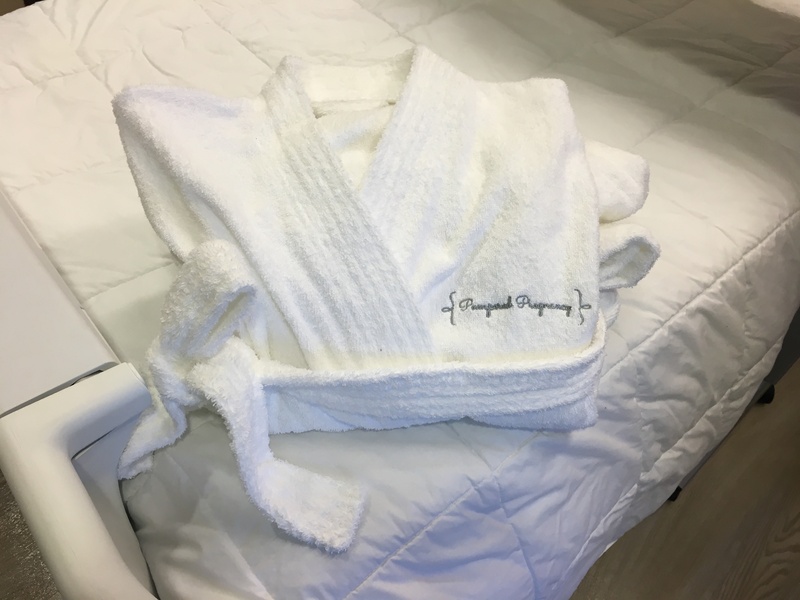 There’s a bassinet in the room, and a spa-like robe waiting for you on the armchair. They changed the gown: it opens in the front so you don’t have to disrobe to nurse. There’s a celebratory dinner, complete with flickering (albeit flameless) candle. 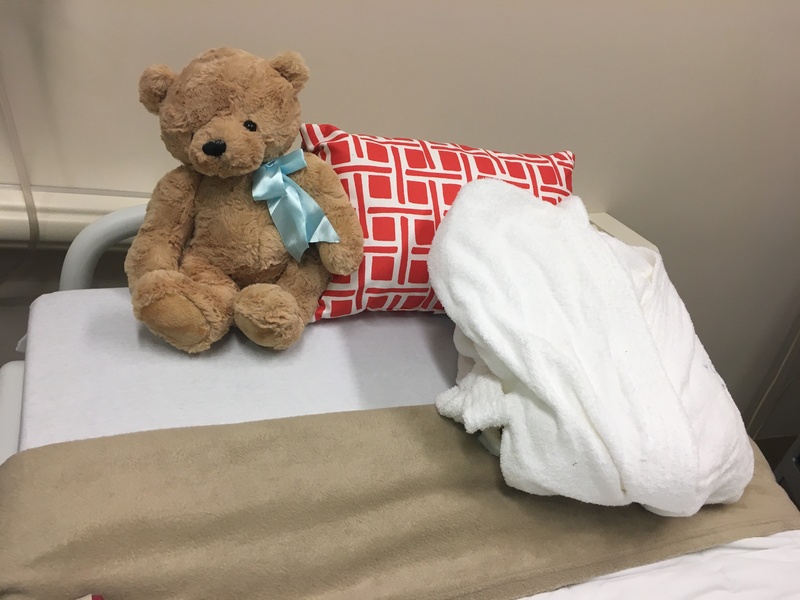 And they leave a pack of aden+anais swaddle blankets as a gift for your little one which are so cute. It’s a comprehensive package with a city-view. Yes, please. The upgrades go beyond the decor, although I have to admit the aesthetic was enough to sell me. If you’ve had a child (or you’ve spent any time in hospitals), you know that it’s all about the nurses. If the nurses are with you, you’ll be fine. No matter what. There’s no substitute for an amazing nurse. 1. When a woman is giving birth, it’s her Christmas. They recognize that, they’re mindful of it, and they’re emotionally generous in that spirit. 2. Women ought to be empowered to make, change, disregard, or adhere to their birth plans whenever they want. (Unless there’s a concern about the health and safety of the mother or baby.) This means that if you want an epidural, you got it. If you don’t, that’s cool too. And if somewhere along the way, you change your mind, no problem. There’s a lactation consultant, the option for the gentle c-section, a Level 2 NICU and perhaps most beneficial to postpartum moms – the New Mom Support group on Wednesday mornings. Where and how you’re going to give birth is a conversation that begins in pregnancy, and with any luck, all goes according to your well-thought-out plan. 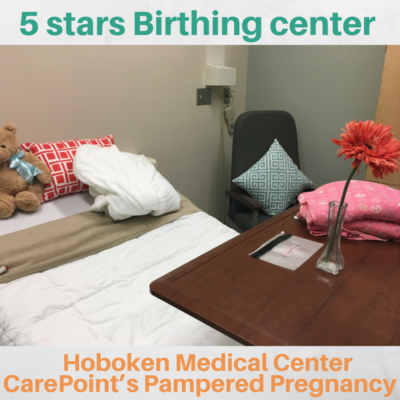 Many unsolicited advice givers tell pregnant women to have a couple of plans “just in case.” So in this case, CarePoint in Hoboken is charming, modern, close to home, and staffed by smart and compassionate women (and men) who want you to leave happy and healthy. Check, check, check. Back in September, when bombs exploded in trash cans around New York and New Jersey, I called (who else?) my sister. At the time, her city (Charlotte, NC) was reeling from the death of Keith Scott, a black man fatally shot by the Charlotte Police Department. In both of our cities, racial and ethnic differences and presumptions seemed to be on everyone’s minds. Like moms across the country, my sister and I contemplated what (if anything) to say to our little ones about race, diversity, and the United States of America. We desperately wanted, like generations of mothers who came before us, to raise children who could be kinder and carry less prejudice than the generation before. But how? I didn’t want to scare or create anxiety in my children by bringing up issues that they couldn’t possibly understand. But at the same time, I didn’t want them to overhear confusing discussions by perfect strangers on the Light Rail. So maybe I should just answer whatever questions they might bring up instead of saying anything preemptively? Would that work? And then I could try to answer them in a way that makes sense to them. You know, like be honest but not traumatizing. None of this was in the manual. These are the conversations we need to be having. It’s our job to be able to stand up to injustice, in whatever form that takes – whether it’s racism or mental health or whatever the case is. Talk at their level. Use examples from their own lives. When a person is discriminated against, that means the person is being left out. They’re so young, they won’t understand racism, or xenophobia. But they do understand feeling left out. Or bullying. Start there. Begin with very small with very basic concepts of humanity. Start with simple things such as empathy and making good choices. Get them to think about how the other person feels. Use these conversations to encourage and explain empathy. Empathy is so important. Let’s say for example your child hears someone saying this or that about the police. It’s confusing for that child. A conversation with your child is the key to truly understand what they are thinking. Situations that create conflict are not easily resolved all the time. Tell them that not everyone will have the same experiences and that a lot of what people say is based on their own personal experiences. Help your child understand that just because one person thinks one way, not all the people think this same way. Teach simple skills such as sharing and using kind words and even using your manners such as hi, hello, and goodbye. It’s a foundation of you being a human being. You can take it to the next level and talk about what it means to be nice. Remember that behavior is a method of communication. Children have a difficult time articulating feelings, especially when they have negative feelings like guilt, fear, or embarrassment. Learning how to deal with those are the foundations. Anger is normal, but how you display it matters. Be a positive role model yourself. Model behavior that shows kindness, respect, and acceptance of others.Talk to you children about how they can have a positive impact on their schools and community. Give them the voice to share their thoughts and feelings with you. Ask them questions. Limit their exposure of negative social media. Strengthen their core beliefs of mutual respect, and kindness. Provide experiences where they are exposed to diversity, and help them feel safe, optimistic and motivated that they can make a difference, and they are part of this world. Divya Dodhia is a child and family therapist. Mel Kozakiewicz is an editor, writer, and educator. 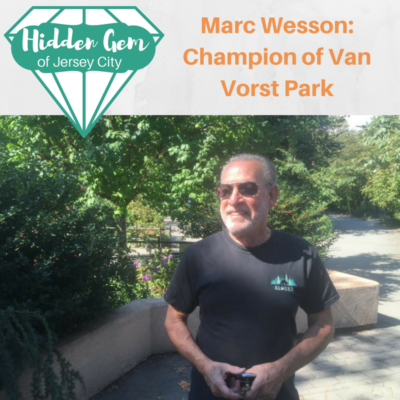 I’ve had the pleasure of interviewing Marc Wesson several times over the course of my tenure as a journalist in Jersey City. We met in the Van Vorst Park, of course. That’s where Marc can be found on any given day. JCFamilies: How’s it goin, Marc? JCF: How many hours do you think you’ve spent working on this park? MW: About a thousand each year, easy. JCF: It looks beautiful as always. MW: Thanks. It’s a lot of work, and there are only two of us doing it. JCF: It’s a full time job. MW: I don’t consider it a job. But I do feel obligated to it. Having put so much of myself into it, and being a part of it from the beginning, makes it hard for me to walk away. JCF: What would happen if you did that? MW: If I walked away? If Jeff (Note: Jeff is Jeff Schwind. Wesson refers to him as “an integral part of the park’s success” on more than one occasion in the interview.) and I just stopped working in here, it would be a jungle in 3 weeks. It would be full of trash, everything would be over grown – it would be a free-for-all. JCF: Do you get any time off? Or what month do you start? MW: It’s constant. At the end of February we’re starting to prune, get everything ready for early spring. JCF: This summer was hot as anything. Did that hurt the park? MW: This summer was brutal just trying to keep the side lawns alive. We do have a sprinkler system for the gardens. That helped. JCF: Was it tough financially? Who pays for this park? MW: That’s a tough one – it’s tricky. I’ve put a lot of money in here over the years. We’re also a nonprofit, the FVVP. That helps us raise funds. The farmers market generates income; we have neighbors who contribute. The spray-ground was part of a state and county grant. JCF: Was that a lot of work? MW: I’d say yes, it took five years of paperwork, and three months to build. I got permission from the city, and then I designed it with help from the city’s architecture dept. 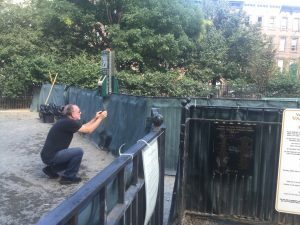 The challenge is to let a private citizen do work in a public park. The city had to issue a license agreement, with the approval of the city council, and then I handed it over as a gift to the city when construction was completed. The dog run was another major effort. JCF: Tell me about that. MW: Well, after the park was renovated in 1999, dogs off-leash tore the new lawns apart. 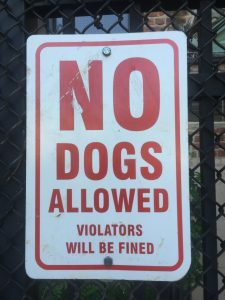 So the solution was to build a dog run, which I designed, helped raise funds for, and tried to make clear how important it is that dogs stay on leashes. Because once a dog urinates on a lawn, it’s gone for the season. 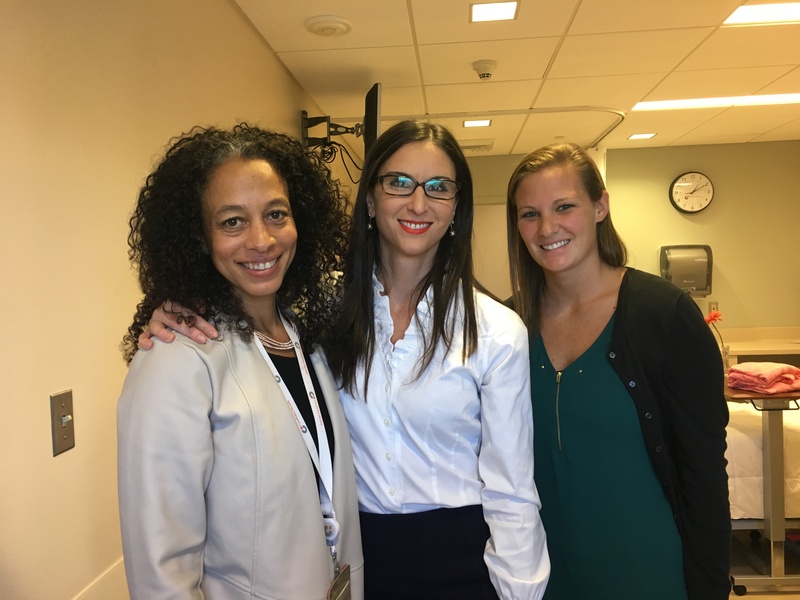 JCF: You know so much – how did you learn? JCF: Overall, what’s it been like devoting yourself to this beautiful piece of land? MW: Incredibly rewarding. People really do care about what we are trying to do in the park. And they surprise me! It’s the little things, like a couple of times, people I didn’t even know anonymously picked up my bill in a restaurant to thank me. It was really nice. And I love to garden, to create something from something that wasn’t there. I get to see all the kids in here playing. They follow Jeff and I around, they want to help. We have weddings here now, and birthday parties. I’d put this park up against Gramercy Park in the city any day because of the variety of plants we have, and this is a public space. JCF: Any advice to people around the city who want to create a space like this? MW: We feel that the only way a park can be successful is if the community is involved in it. If the community is involved, they will help care for it. Mel Kozakiewicz is a writer, editor, and educator. 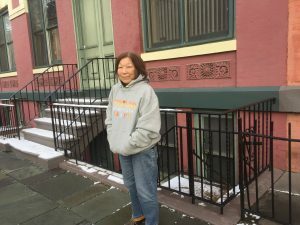 She has been living in Jersey City since 2003. In addition to my little ones’ inability to sit still for even ten minutes, I’m hyper-sensitive to the dining experiences of the other guests. The smallest squeal (is there such a thing?) makes me feel like I’m ruining everyone’s dinner. Pre-Game. This is not a drill. Have a glass of wine while you’re getting ready. Put some music on. Chill out a little before you even leave the house. Try for a later nap. The last time we went out as a family, we succeeded in starting nap-time at 2:30 and then let the boys wake up on their own – at 4pm! Obviously we can’t always control who sleeps when, but we found that if they nap later in the day, they’re easier to manage in a restaurant. Bring toys. Don’t rely on your iPad or phone to entertain the kiddos. 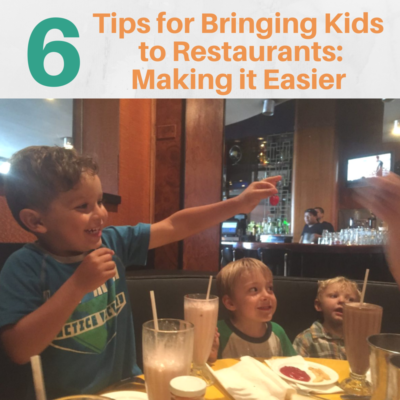 Part of the reason we bring kids into restaurants is to teach them how to behave in public. That means we have to engage with them. Try bringing table toys, like small packs of Legos, matchbox cars, or puzzles as a way to do that. Arrive early. The witching hour is about 8pm, right? That means you’re a part of the 6pm crowd now. If that seems early, just try it once and be amazed by all the other families there too. Order right away. Check out the menu online so that when the server greets the table, you can at least get some appetizers going. When you’re dining with little ones, every minute counts. French Fries. It’s a night out. Get the fries. Don’t dig your heels into health-consciousness for the kiddos. There’s a time and a place for everything. In the restaurant, indulge. Mel Kozakiewicz blogs at www.urdoingitright.com and has been living in Jersey City since 2003. Many Jersey City families are planning extended trips home over the holiday season. If you haven’t had an opportunity to travel with your little ones yet, or if you have but wish you would have done it differently, take a look at our travel tips. And as always, reach out to us with tips of your own that have worked for you! Resist the urge to immediately hand over the iPad. (Or your phone, or whatever screen you have handy.) Even animation and apps get boring after a while and you’ll want to save this secret weapon for when you really need it. Don’t wear it out right away. Let got of expectations. Traveling with toddlers is going to take longer, create more crumbs, and include more tears than your pre-kid trips. That’s ok. Be ready for it. And don’t apologize for it. It’s life. Allow the 3 hour journey to take 6 hours – it doesn’t matter. Plan breaks. Especially if you’re in a car. Look at the map ahead of time and see what might be a good place to stop. Or skip that step and simply know your kids. Will they run around a McDonald’s for 45 minutes? What about an empty parking lot? Got any sidewalk chalk? Choose your battles. This is not the time to hate on McDonald’s. They have clean bathrooms, toys in the same box as chicken nuggets, and COFFEE. Don’t mind if I do. Anticipate bedtime. Your friends and family probably won’t notice the subtle tugging your child does when s/he’s ready for bed, but you do. When you see the first sign of sleepy-eye, high-tail it to bed. There’s no need to bring out the overtired titan that resides inside all of our children if you don’t have to. You’re the one who will have to manage it; be as proactive as possible. Get your diapers delivered. If there are things you’re going to need for sure (like diapers, squeezies, formula, wipes, pacifiers), consider using a service like amazon prime or diapers.com to have them delivered ahead of time to your destination. Then pack a few more than necessary for the journey and use the new ones upon arrival. That will save room in the car (or in your luggage) for comfort or for that extra item you wanted to bring. BYO kid cups. Or bottles. Or silverware. (Or order the with the diapers.) Get or bring whatever it is that makes your child a more comfortable and pleasant soul. It’s not easy to be in a new environment, especially one that might not be kid-friendly, for kids or for parents. Bringing small things like cups can help. Pack complete outfits into ziplock bags. It might add a little bit of time to the packing part of the trip, but you won’t be dismantling your suitcase in a fit of rage looking for baby socks first thing in the morning or immediately following a diaper blow-out. (Just like the iPad, right? Let’s save the mommy-meltdowns until absolutely necessary.) Don’t have time to ziploc outfits? At least put the clothes in plastic bags to avoid getting them wet if it rains while they transfer the luggage to the plane. Take extra clothes for your little one if you’re flying. Have it handy in case of an accident. And bring an extra for you! You do not want to smell like milk for the majority of a 10 hour flight. Eat and change diapers before boarding. You never know how long you’ll be sitting before the food is served. (If there’s food…) Make sure you and your kiddo won’t be hungry, at least through take off. And changing tables on airplanes are as cramped as can be. Try to avoid starting the trip there. Airplane headphones don’t work for kids. They’re either too big or they’re ear buds. They don’t fit. Get some before you go. You’ll be glad you did.